Protect, store and transport your hearing protection with this attractive, durable hard case. Designed for use with Etymotic MP9-15®, HD-15®, GSP-1®, GSP-15® and EB-15® Electronic Hearing Protection. Will also fit many other types of ear plugs and even earphones. 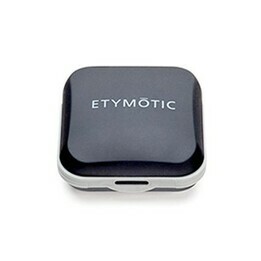 This hard case is the same as the one included with Etymotic's GSP-15 Electronic Ear Plugs. Case Dimensions: 2.5" x 2.5" x 1"